"One important object of this original spectroscopic investigation of the light of the stars and other celestial bodies, namely to discover whether the same chemical elements as those of our earth are present throughout the universe, was most satisfactorily settled in the affirmative; a common chemistry, it was shown, exists throughout the universe." 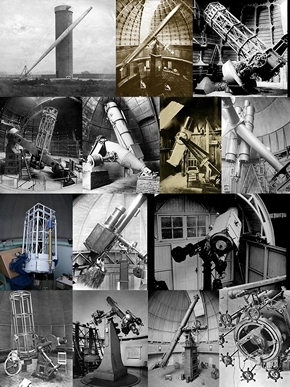 All seven chapters on 'Photographic Astronomical Spectroscopy', i.e. Lewis Rutherfurd, Angelo Secchi, William Huggins and Margaret Murray, Edward Pickering, the Rainbow Men, and Edwin Powell & Milton Humason. Buy at a discounted price. Lewis Morris Rutherfurd, the American who ended the family tradition of becomng a lawyer and chose a career in science instead. In doing so he acquired a degree of fame the legal profession could never have given him. Angelo Secchi, the Jesuit priest who studied a subject once held to be heretical by the Roman Catholic Church he served all his life. He showed that the Universe was not perfect, a view that once would have led to excommunication or worse. 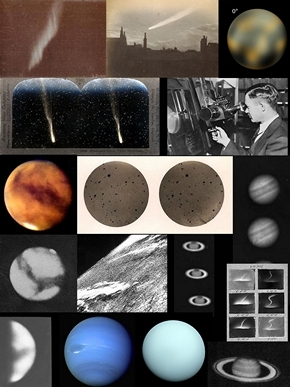 William Huggins and Margaret Lindsay Murray, were a devoted couple who spent their entire lives trying to understand the nature of the Universe through the study of astronomical spetroscopy. Edward Charles Pickering, who believed in the new science of Astrophysics and who through the charm of his personality persuaded women to either part with their money or become a member of his 'harem' of female astronomers. 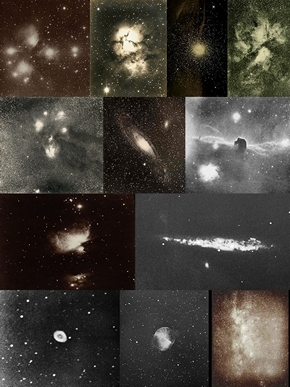 Hermann Vogel, Oswald Loshe and Julius Scheiner, were three German astronomers who through the use of photographic spectroscopy studied the rainbows of heaven, in a quest to understand the very nature and structure of the stars. Edwin Hubble and Milton Humason, were two men who came from 'smallsville' America, one the son of an insurance saleman and the other whose CV included a spell as a mule skinner, met and in doing so changed our very understanding of the Universe. The rainbow which make up a spectrum is more than just a pretty picture, it is the key to understanding the very essence of our Universe and everything it contains. 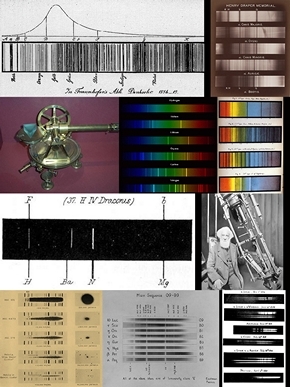 Astrophotography has played its part in obtaining permanent records of these spectra. Dr. Stefan Hughes began his career as a professional astronomer, gaining a 1st Class Honours degree in Astronomy from the University of Leicester in 1974 and his PhD four years later on the 'Resonance Orbits of Artificial Satellites due to Lunisolar Perturbations', which was published as a series of papers in the Proceedings of the Royal Society of London. After graduating he became a Research fellow in Astronomy, followed by a spell as a lecturer in Applied Mathematics at Queen Mary College, London. Then came a ten year long career as an IT Consultant. 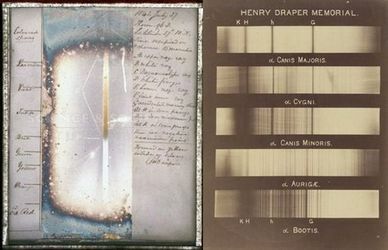 In 'mid life' he spent several years retraining as a Genealogist, Record Agent and Architectural Historian, which he practiced for a number of years before moving to the Mediterranean island of Cyprus, where for the past ten years he has been imaging the heavens, as well as researching and writing the 'Catchers of the Light' - A History of Astrophotography.